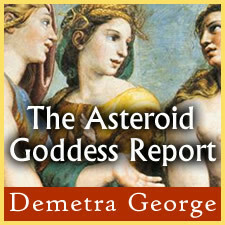 This personalized astrology report is generated using your birth data and based on Demetra George's ground-breaking best-seller Asteroid Goddesses. You'll gain valuable insight into the role of four of the major asteroids in your chart, along with expanded delineations and concepts not found elsewhere. Your Asteroid Goddesses report will be between 40 and 50 pages in length, in pdf format, generated by hand and emailed to you within 24 hours of your purchase (often faster during business hours).